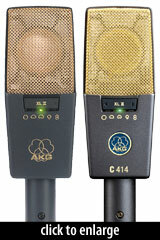 The C414 XL II is a multipattern FET condenser microphone built around AKG’s famed CK12 capsule. 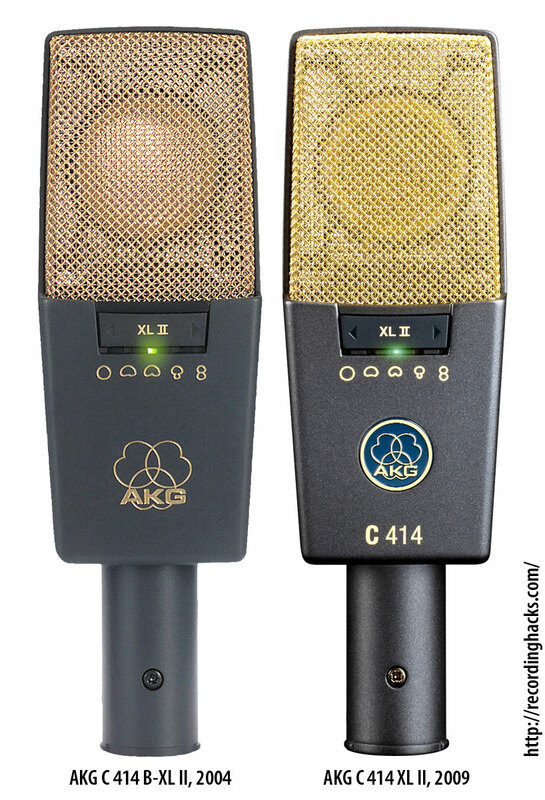 It is the latest in the TLII/XLII series of studio microphones, which feature a presence boost rather than a neutral frequency response. 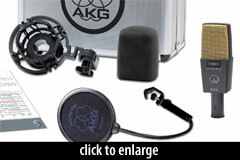 The primary new feature of the revised mic is that it offers 9 polar patterns, rather than the B-XL II’s five. Pattern for pattern, the frequency response of the XL II matches that of the B-XL II. The self-noise is the same, 6dBA. The new mic is slightly less sensitive (20mV/Pa) than the B-XL II (23mV/Pa). 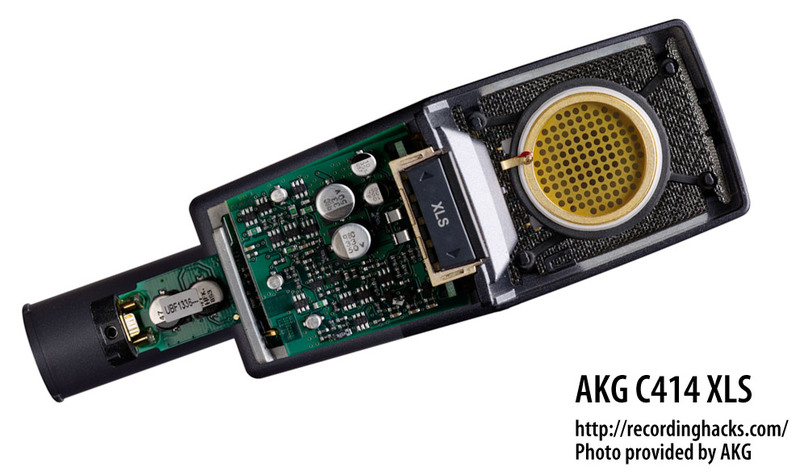 The pattern, pad, and filter are selected via pushbutton controls on the body of the microphone. Current selections are indicated by LEDs. As on the B-XL II, the controls can be locked to prevent accidental reconfiguration during handling. 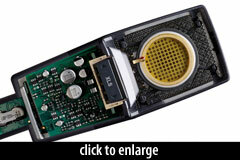 The clip indicator LED introduced on the B-XLS and B-XL II is improved on the 2009 models (XLS and XL II), in that the LED stays lit for 3 seconds. The amplifier circuit is a low-noise design, making the mic one of the lowest-noise mics we have seen (6dBA in all polar patterns). 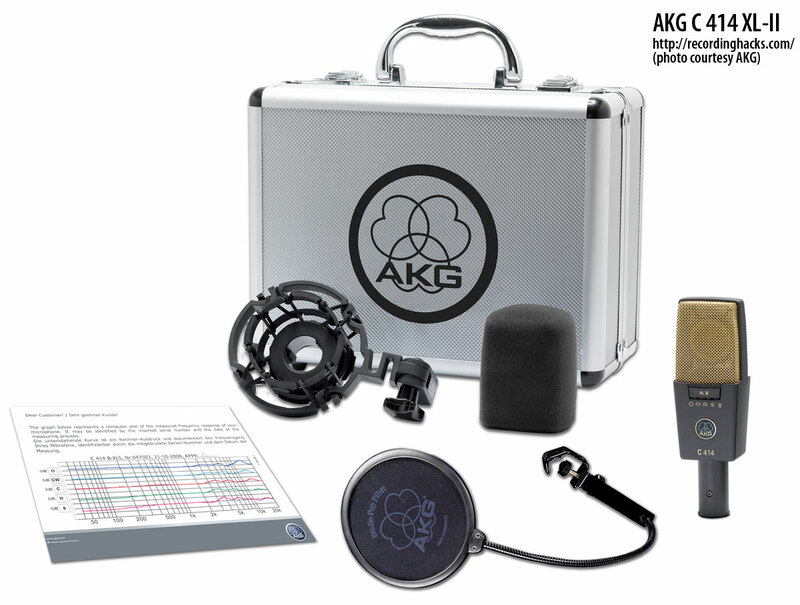 The C414 XL II ships with a low-profile shockmount (AKG p/n H 85), a foam windscreen (W414), a detachable pop filter (PF80), and an aluminum “Soundtool” flight case.